Secret Santa: it's a Stealthy Xmas! Can Santa deliver the presents under the Christmas trees without being spotted? 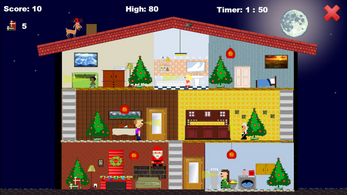 Find out in this original platformer: run, hide behind doors and jump on any available furniture to deliver your presents while remaining undetected! atmosphere in a platformer where even losing the game should bring players a smile. 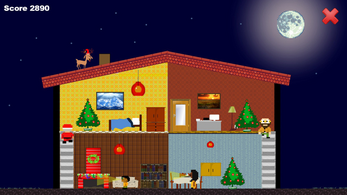 - Play as Santa and jump on any available furniture or hide behind doors to avoid being seen by people looking for presents on Christmas Eve! - Stealth gameplay in an old school platformer setting.